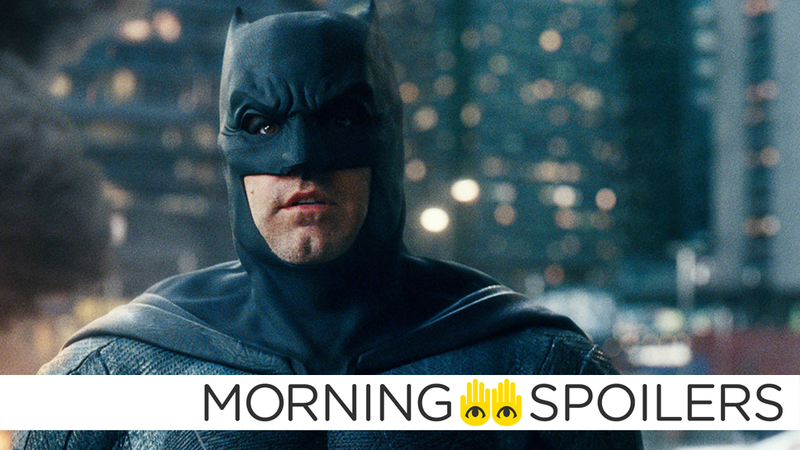 Bats could be going up against a familiar comic book foe in The Batman. The Sonic the Hedgehog movie has found its non-hedgehog star. Dave Bautista talks about his Marvel future. Drew Goddard discusses his plans for the X-Force movie. Plus, what’s to come on The Handmaid’s Tale, and an absolute ton of new set pictures from The Punisher season 2. Behold, spoilers! Variety’s Justin Kroll says rumors are swirling that the Penguin is being heavily considered as the main villain of Matt Reeves’ The Batman. Apparently, if Reeves reconsiders, Cobblepot could instead waddle his way over to the upcoming Birds of Prey movie. Variety reports Westworld’s James Marsden has signed on to the live-action Sonic the Hedgehog movie in a currently undisclosed role. If the report from yesterday turns out to be true, it’s highly likely he’ll be playing Tom, the cop. Dave Bautista confirmed Drax will return for both Avengers 4 and Guardians of the Galaxy Vol. 3 in a recent interview with Collider. I got a lot of texts saying, ‘I can’t believe you’re dead, your character is dead.’ They were really like heartbroken and I was like ‘I’m gonna be in four. I’m gonna be in Guardians 3.’ I don’t know how they’re bringing me back, yeah but somehow I’m going to make it because, as far as I know, I am going to be in Guardians 3, so I have to be back. To be honest, I think that’s why it excited me so much. I remember reading that scene and just cackling with delight, specifically because it was the very last thing you’d expect to happen in one of these movies. These movies are so careful to set up the next thing and the next thing, and it made me so happy. One thing I said to Ryan [Reynolds] was, ‘Don’t worry about it, we’ll come up with new ideas; you guys go make your movie, and do your thing. We’ll figure it out.’ That tends to be the way I like to work. It’s much more important to focus on making the movie that you’re making than focusing on the next thing. It’s much more important to just make one good movie and take your time, then let that dictate what the movies are after. Tom Cruise jumps from another airplane in a new poster from Coming Soon. A deluge of season two set photos have hit the net, including our first looks at John Pilgrim and Jigsaw. A new photo reveals the season seven writer’s room is currently outside and therefore not in a room at all. Twist!